2212 SW 44th Ter Cape Coral, FL. 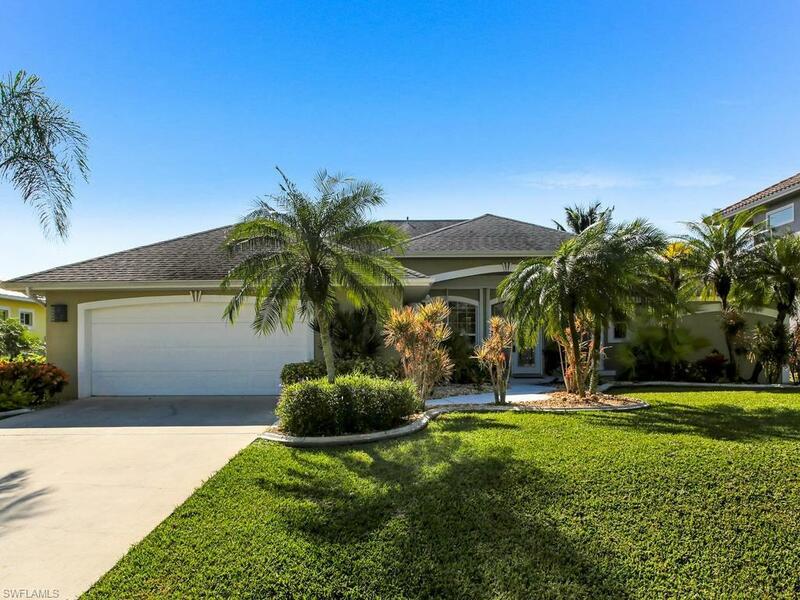 | MLS# 218080261 | Southwest Florida Residential Real Estate for Sale. TURNKEY HOME!!! Picture yourself turning in to your Quiet Neighborhood and driving down a street lined with Royal Palms and manicured lawns. You turn into the driveway of your lovely home and walk to the entryway. As you open the door and step into foyer of the home you appreciate the open floor plan and sliding glass doors and BEAUTIFUL WATER VIEWS!!! As you enter the great room you look thru numerous sliding glass doors and windows that provide wonderful views of the lanai, pool area, dock and wide canal behind the house. This wide canal provides access to the Gulf of Mexico for all of your leisure activities. The SOUTHERN EXPOSURE provides the most desirable position in the opinion of most. It allows you to enjoy the sun to its greatest advantage. The kitchen is open with a breakfast bar and leisure dining area. For the gourmet chef the kitchen features a gas VIKING STOVE and OVEN as well as a SUB-ZERO REFRIGERATOR. SPLIT FLOOR PLAN for maximum privacy when you have guests!!! The master bedroom is positioned to allow you awake to another Wonderful View of the Water. This lovely home is a must see!! !